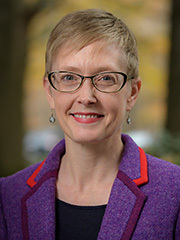 Laura M. Olson, LL.M., J.D., M.A. Laura M. Olson serves as the director of the Human Rights Program at The Carter Center. She assumed her duties in July 2017. Olson joined The Carter Center from the U.S. Department of Homeland Security Office for Civil Rights and Civil Liberties, where she had been immigration section chief since 2010, focusing on immigration and human rights matters. During her federal service, Olson also served as acting director of the CRCL Programs Branch, as well as senior policy advisor to the Department of State Special Envoy for Guantánamo Closure. Earlier in her career, Olson worked for the International Committee of the Red Cross. As legal advisor to the ICRC Regional Delegation in Washington, D.C. (2005-2007), she was responsible for legal support to the organization’s activities in the United States and Canada, including visits to the U.S. detention facility at Guantánamo Bay. Previously, she was legal advisor at the ICRC headquarters in Geneva, Switzerland (2001-2005), as well as the delegate responsible for the program to academic circles and universities at the ICRC Moscow Regional Delegation (1998-2001). During her studies, Ms. Olson spent time as a volunteer with Defense for Children International/Palestine Section, a church in Bethlehem, and on a kibbutz near Haifa, Israel. Her publications address international humanitarian law, including its relationship with international human rights law, international criminal law, and transitional justice. Olson holds an LL.M. in international legal studies from New York University School of Law and a J.D. and M.A. in philosophy from the University of Iowa.